The fisherman makes a catch! The Dancers spin! New details in this piece include fine, wood cut windows and beautifully carved figures. 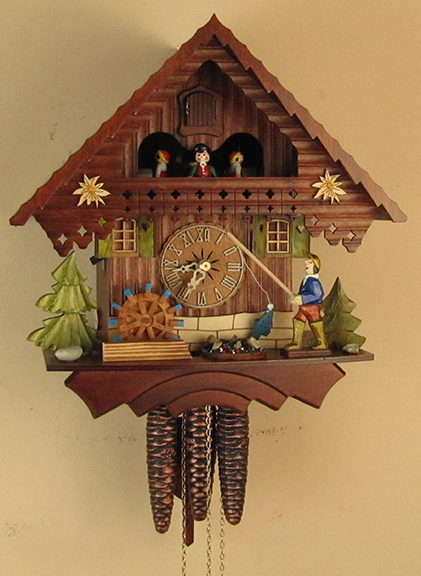 The roof has individually hand-laid shingles, and the dial, hands, and bird are all of solid wood.